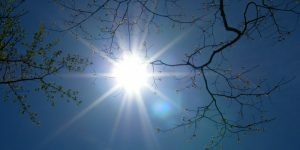 LONDON, Sept. 26, 2016 – European scientists have dug deep to dismiss once again the old argument that climate change might be a consequence of solar radiation rather than atmospheric chemistry. The world is warming, they confirm, because more greenhouse gases are getting into the atmosphere, and the changes in the solar cycle are not a significant factor. This is not the first such reassurance. Teams of researchers have in the last few years eliminated cosmic radiation as a factor in climate change and confirmed that sunspots, too, can be declared innocent. But in 2011, with backing from the European Co-operation in Science and Technology (COST), scientists set up their own project. They wanted to better understand the relationship between the cyclically changing patterns of sunlight and variations in climate, against a background of global warming. The TOSCA project – which stands for “towards a more complete assessment of the impact of solar variability on the Earth’s climate”− is a co-operation involving solar physics, geomagnetism, climate modelling and atmospheric chemistry. The scientists went for a global approach, with 61 researchers from many disciplines working together to examine as many aspects as possible that might link variations in the sun’s behaviour with variations in climate. And they have summarised the story-so-far in a new report. What they identified is solar mechanisms that could alter regional climate, but none that could trigger global warming. They looked on timescales longer than a century, and indeed found that variations in radiation corresponded with variations in climate. But the effect of increasing levels of greenhouse gases in the atmosphere still provided the most convincing explanation for global warming. And at the end of the exercise, they understood the sun’s role more completely. Ultraviolet radiation accounts for only 7% of the sun’s energy, but variation in UV radiation does produce changes in the stratosphere from the Equator to the polar regions. Winters in Europe could be milder and wetter, or drier and cooler, depending on the sun’s state. Solar winds – the rapid-fire of particles from the sun – could affect the formation of aerosols, which in turn would affect rainfall, and this would be useful information for climate modellers. But, ultimately, the exercise did not change the big picture: the steady trend of global warming − sometimes masked or amplified by natural cycles in the sun’s behaviour − is a consequence of human combustion of fossil fuels.